TULSA, Okla. – Junior Simon Baudry opened play at the 2018 ITA Men’s All-American Championships on Thursday morning with a top-10 win in the first round of singles play. The native of Bordeaux, France defeated Timo Stodder of Tennessee, 7-5, 2-6, 6-4 in the round of 64. Stodder was the No. 4 seed in the tournament after earning a No. 6 national ranking in the ITA fall preseason poll. With the win, Baudry, who owns a No. 46 preseason national ranking in singles, now faces Alex Brown of Illinois in the second round of the singles draw on Friday. Brown is ranked just four spots behind Baudry at No. 50 in the ITA fall preseason poll. In Friday’s round of 32, Baudry fell 6-3, 3-6, 6-3 to Illinois’ Alex Brown, who entered the tournament with an ITA fall preseason ranking of No. 50. 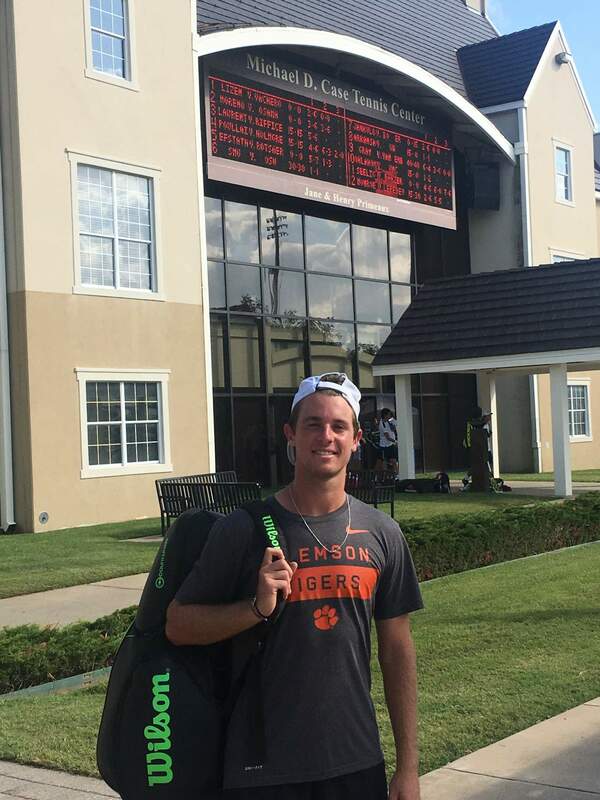 Baudry was not the only Tiger in action this weekend, as fellow junior Gabriel Diaz Freire, sophomore Yizhou Liu and freshman Teodor Giusca will all be competing in the Texas Tamale Company Houston Cup, for which qualifying starts on Saturday. Junior Carlos Kelaidis and freshman Matteo Vialmin will be taking to more local courts, as they are both playing in the weekend-long South Carolina Men’s Collegiate Tennis Championships in Belton, S.C.